Over time floor finishes wear down which in turn leads to flooring damage. Boiled Linseed Oil easily protects your floor with a lasting top coat seal. It penetrates deep into the wood fibers creating a water and alcohol resistant surface without altering the natural colour of the wood species. Re-oiling can be done inexpensively and with ease to either small worn patches or the entire flooring space. Usually every 6 months to a year is good, depending on the amount of wear. The recommended oil is available at Home Depot and other hardware stores. Warranty Note: The Chalet Collection has no finish warranty as oiled products must be maintained on a regular basis by the home owner. A Local or complete oiling may be required every 6 months to a year depending on the amount of traffic. Hi traffic areas such as hall ways can be locally and easily re-oiled as necessary. Note: Our Chalet collection of floors all come pre-oiled with a factory applied oil coating. 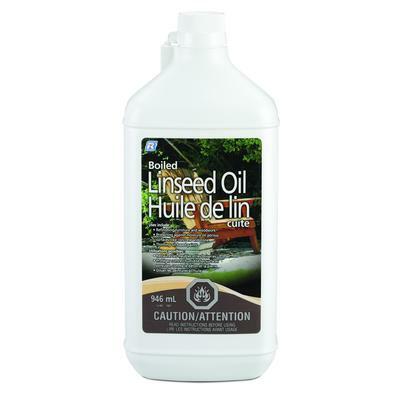 Apply Boiled Linseed Oil ﻿lightly﻿ with a cloth in 100 square foot increments. Wipe off until dry, no more than 5 minutes after application. Always read and follow instructions on the back of the oil container. Continue in this way until the entire floor is oiled. Use of a buffing machine with a soft attachment is optional. Check that the floor surface is clear of grit and dirt before proceeding. Once the oiling is done allow 6 to 12 hours for it to dry. Do not place area rugs for 48 hours or until dry. If in doubt leave longer. Simply buff the floor with a soft cloth when it starts looking dull. If you spill something on the floor, wipe the spill up with a damp cloth, then buff the wet area dry. If your floor has light to medium traffic, this is the only maintenance you need. If your floor has heavy traffic, you can apply a new coat of oil over the worn areas in the same way you initially applied the oil. It is not necessary to strip the floor. You also can add more oil to improve the shine on the floor. Wipe on and then wipe off again after no more than 5 - 10 minutes. Leave no wet patches behind. This product is designed to go on thinly. The surface will be dry after approximately 12 hours. Only use the oil supplied by Envision hardwood floors. Contact us if you have any question. DIRT, GRIT and sand are your hardwood floor’s worst enemies. They act like sandpaper on the finish, causing scratches, dents and dulling. Place floor mats at entrances to trap dirt before it enters your home, this will help prevent damage. WATER AND OTHER SPILLS: Standing water can soak into your hardwood floor, warp it and damage the finish. Simply wipe up all spills as they happen. CLEANERS: Avoid oil soaps as they can build up and create problems when it’s time to put a maintenance coat on the floor. Instead, lightly apply more of the supplied oil finish, rubbing it gently into the damaged area. Wipe off any excess. FURNITURE: Lift the furniture to move it --- avoid dragging. Felt floor protectors are strongly recommended. DENTS: Vacuum with a brush attachment -- don’t use vacuums with beater bars or hard plastic surfaces that will scratch. SUN: Direct sun can discolor your hardwood floor. Close curtains and blinds or add sheer drapes to protect from the sun’s intense UV rays. SWEEP: Brooms with fine, exploded ends trap dust and grit effectively. VACUUM: Canister vacuums with special bare floor attachments are the surest way to get rid of all the dirt and dust. DUST MOP or LIGHTLY DAMP MOP only as necessary. Never leave standing water on the floor.